Celebrated with a new launch trailer, Bohemia Interactive today released Arma 3 Tanks DLC - a new downloadable content pack for the PC-exclusive tactical military shooter game Arma 3. 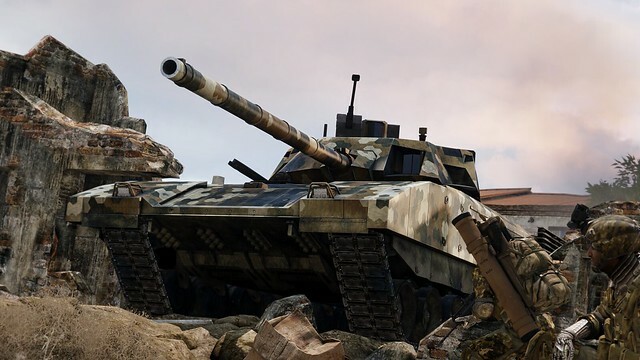 Tanks DLC features 3 new armored vehicles (which come in multiple variants with various liveries), as well as a singleplayer mini-campaign and a showcase scenario starring the new vehicles. Aside from the new premium content, the package is also accompanied by a major platform update. This update is free for everyone who owns Arma 3. It significantly enhances the experience of operating an armored vehicle, introduces new targeting features, and adds free new bonus content such as a competitive multiplayer mode, time trial races, new anti-tank weapons, additional vehicle variants, decorative objects, and more. Arma 3 Tanks DLC is now available for purchase on the Bohemia Store and Steam at € 9.99 / $ 11.99 / £ 8.99. It is also included in Arma 3's DLC Bundle 2, which is available on the Bohemia Store and Steam at € 22.99 / $ 24.99 / £ 19.99, and saves more than 25% over purchasing Arma 3 Jets, Laws of War, Tac-Ops Mission Pack, and Tanks DLC separately.